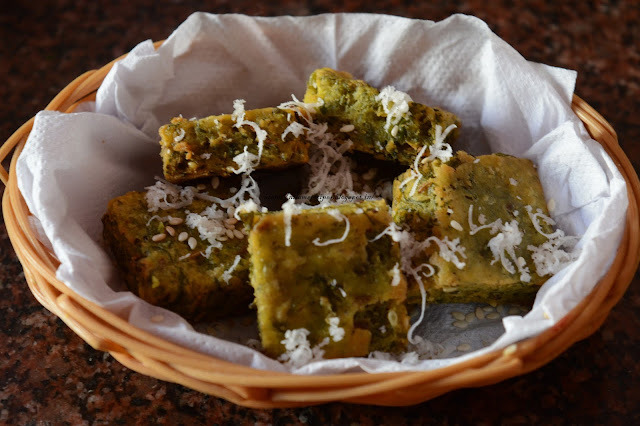 Chawli usal is one of the prominent dishes loved by Maharashtrian families. We grind a paste of masalas that goes into to this chawli preparation, locally known as ‘vatan masala’. The spicy, creamy side dish and also the main course. The chawli usal recipe is bit spicy and coconut based dish. The black eyes beans add their peculiar taste to the creamy gravy when prepared. It tastes best with hot steamed rice or also chapatis. Read the chawli bhaji recipe here and learn to make chawli usal just scrolling down! Easy, isn’t it? Wash, rinse and soak the chawali overnight in enough water. Next day morning drain out the water and rinse them once and keep aside. Then add little water and salt and pressure cook for 2 whistles until chawali are soft. Chop onion. Heat oil in a tava or pan. Add chopped onion and fry till they become transparent. Now add fresh grated coconut. On a low flame, roast the mixture till it turn to golden browned. Then grind this mixture by adding little water. Heat oil in a pan add chopped onion till transparent. Add the masala paste and fry for a minutes. Add chopped tomato and all the turmeric powder, red chili powder and garam masala powder, little salt saute for a minute on low flame. Stir it and add little water. Mix it well and Taste it if required add little salt and spices. Cover and cook on a medium low heat for another 15 minutes. 1) Wash, rinse and soak the chawali overnight in enough water. 2) Next day morning drain out the water and rinse them once and keep aside. Then add little water and salt and pressure cook for 2 whistles until chawali are soft. 3) Chop onion. Heat oil in a tava or pan. Add chopped onion and fry till they become transparent. 4) Now add fresh grated coconut. 5) On a low flame, roast the mixture till it turn to golden browned. Keep on stirring. Let this mixture cool completely. Then grind this mixture by adding little water. 6) Heat oil in a pan add chopped onion till transparent. Add the masala paste and fry for a minutes. 7) Add chopped tomato and all the turmeric powder, red chili powder and garam masala powder, little salt saute for a minute on low flame. 8) Add cooked chawali. Stir it and add little water. Mix it well and Taste it if required add little salt and spices. 9) Cover and cook on a medium low heat for another 15 minutes. 10) Garnish with chopped coriander leaves. Serve with chapati or plain dal rice.